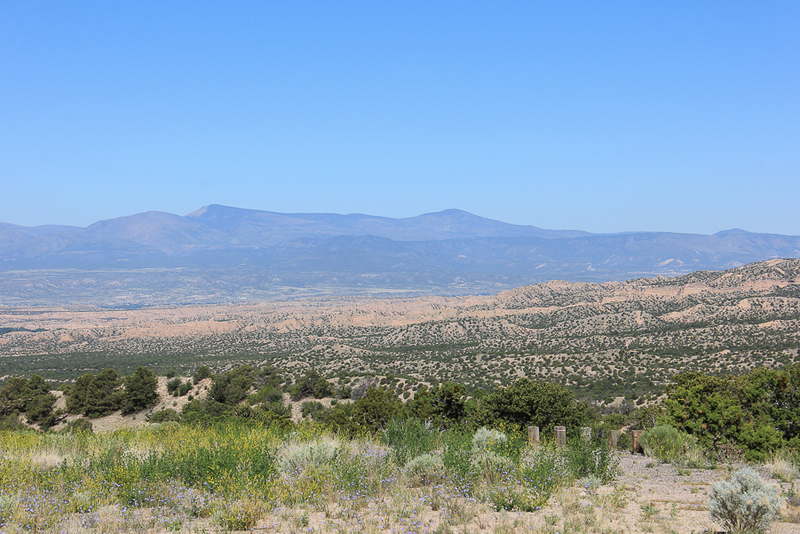 June 3, 2015 - This adventure took us out of California to visit the "Land of Enchantment," New Mexico! 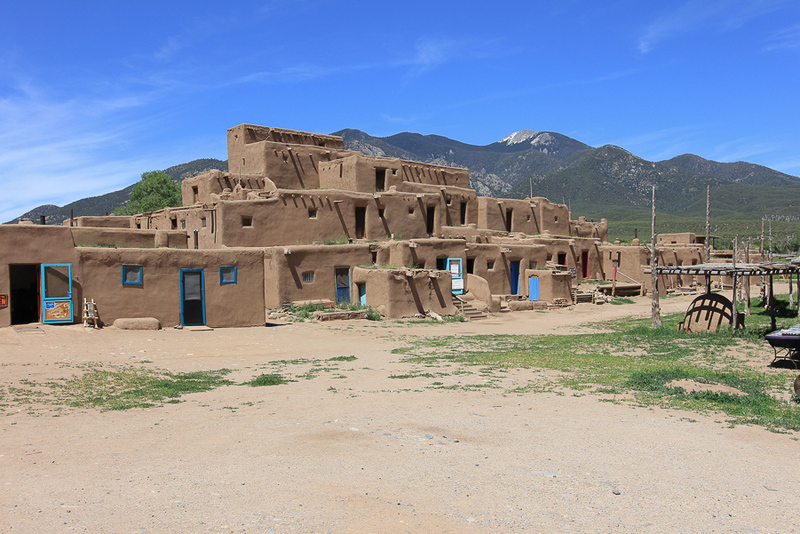 After an early morning flight, we arrived in Albuquerque and drove north towards Taos, the start of our three day trip. 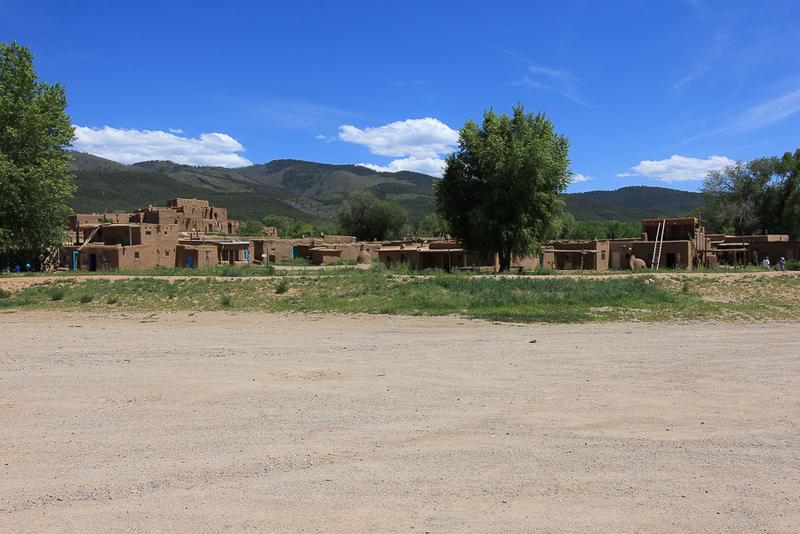 Our first stop was at the Taos Pueblo, a UNESCO World Heritage Site. 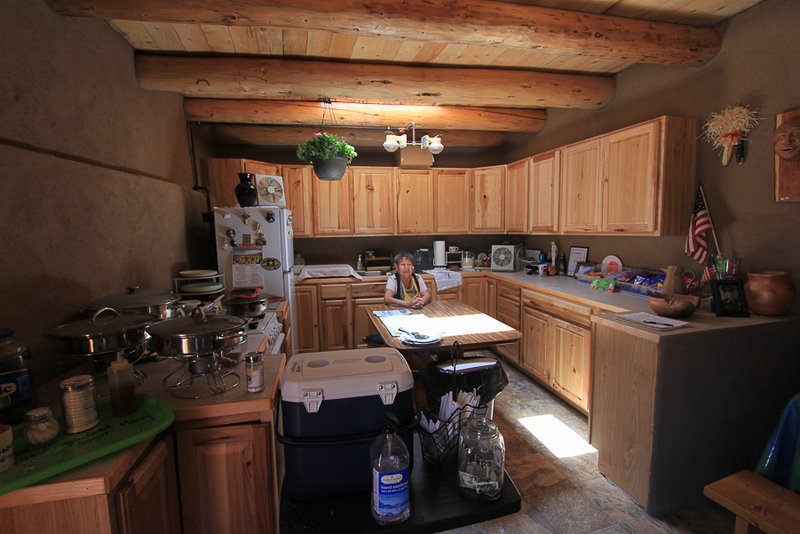 This nice lady made us some of her "fry bread," with honey and cinnamon. 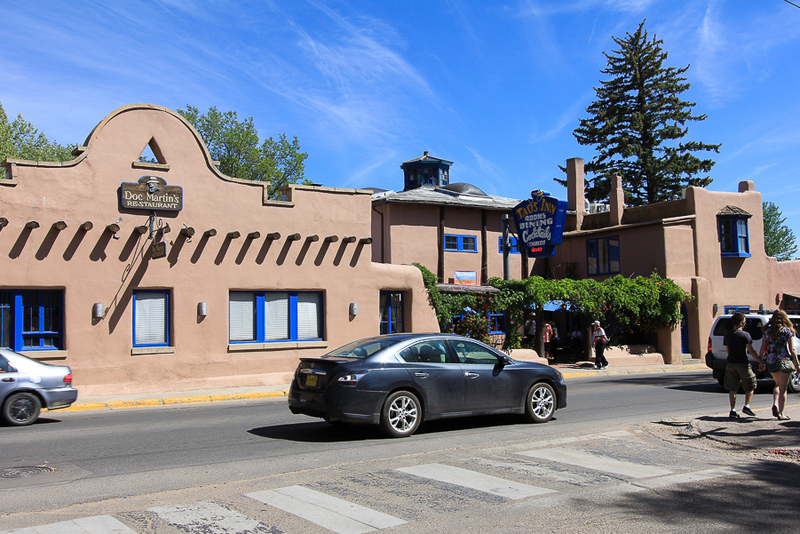 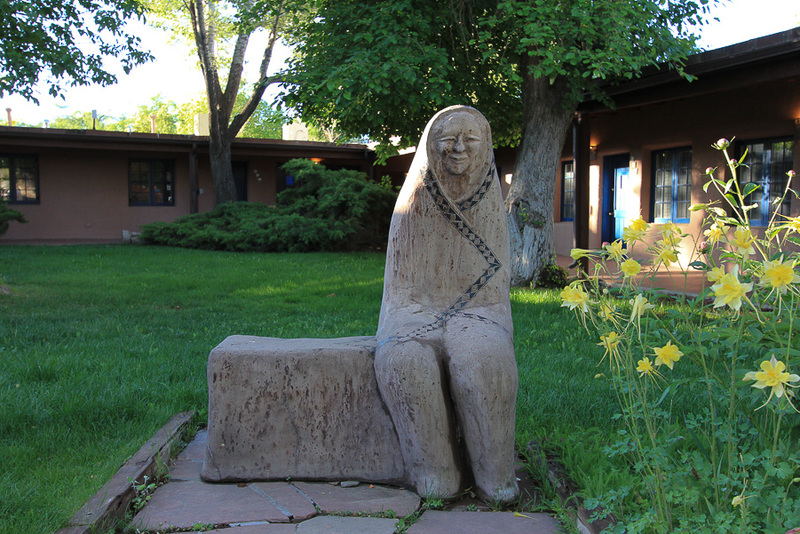 We stayed at the Historic Taos Inn, which is located downtown just off the central Plaza. 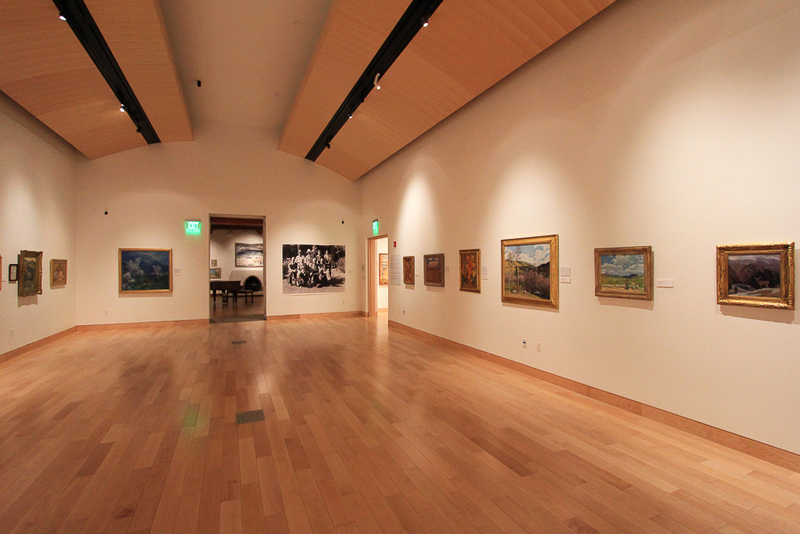 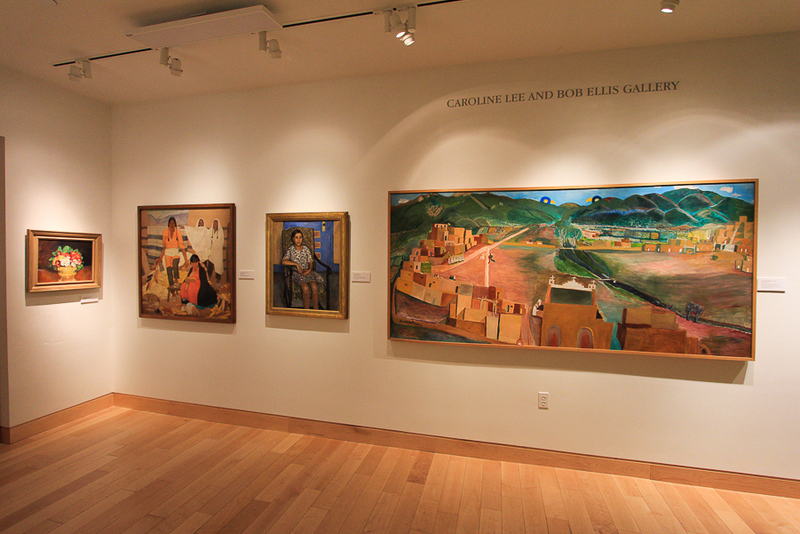 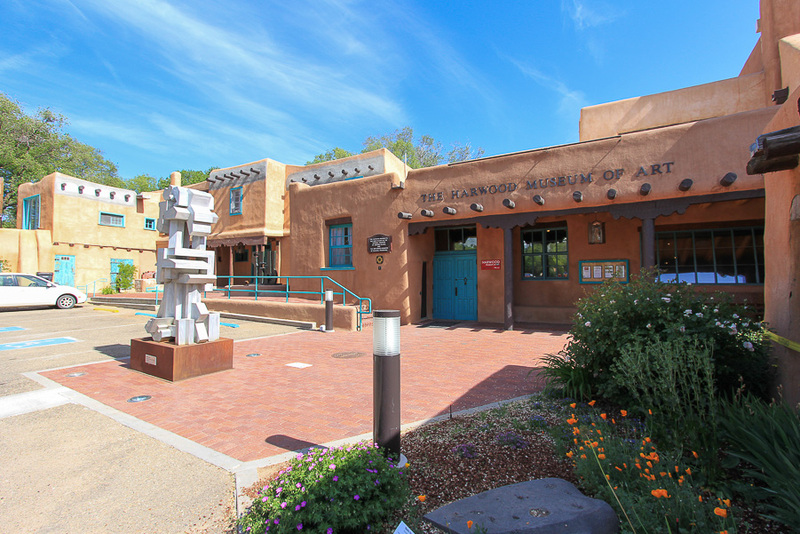 We visited the Harwood Museum of Art, in a very lovely area just south of the Plaza. 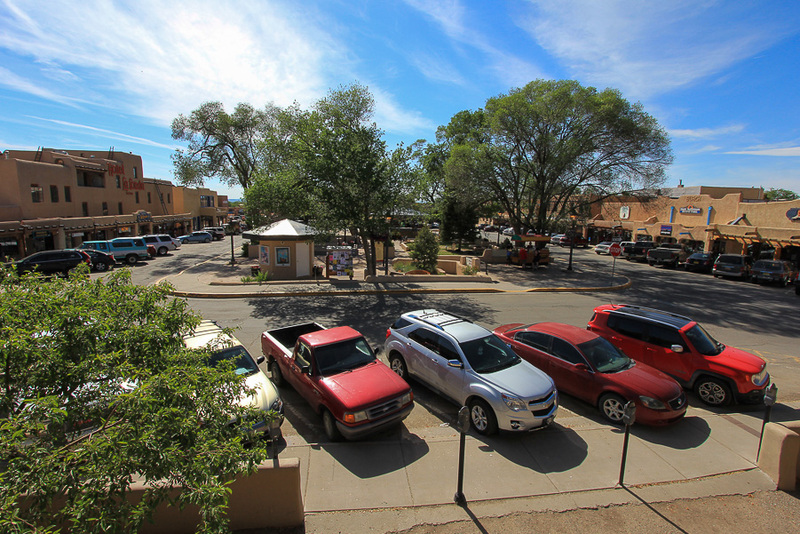 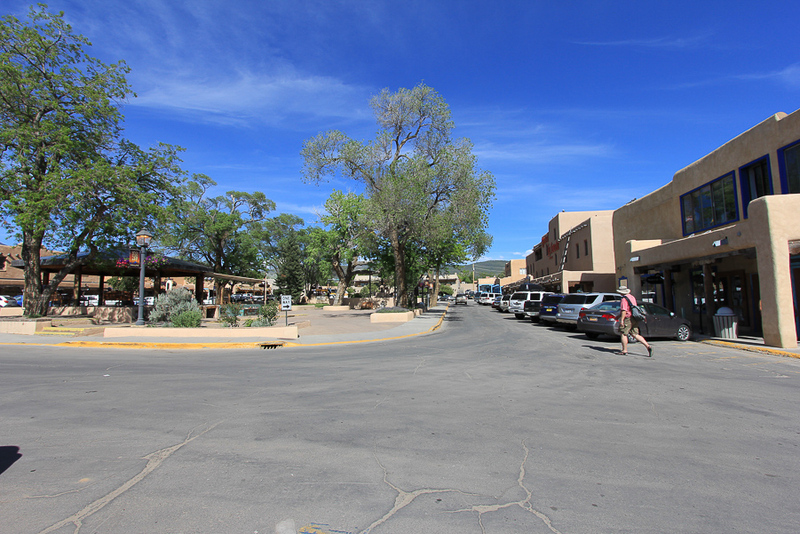 This is the Plaza, the heart of Taos. 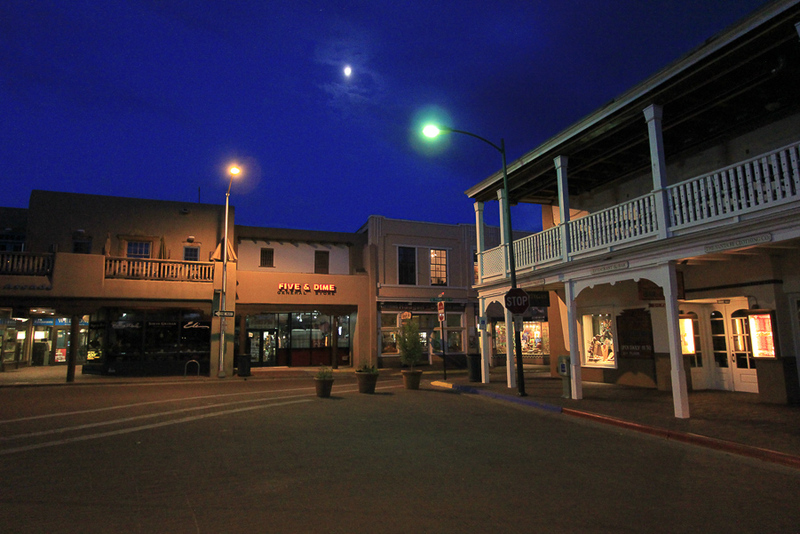 We had dinner at the hotel that wasn't memorable and turned in for the night. 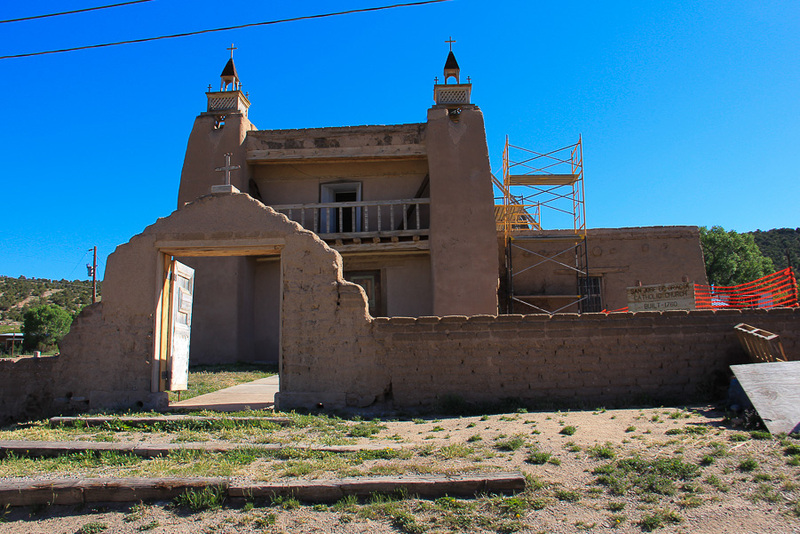 Generally speaking, most of the meals that we ate in New Mexico didn't really excite us, so there won't be any further mention of restaurants. 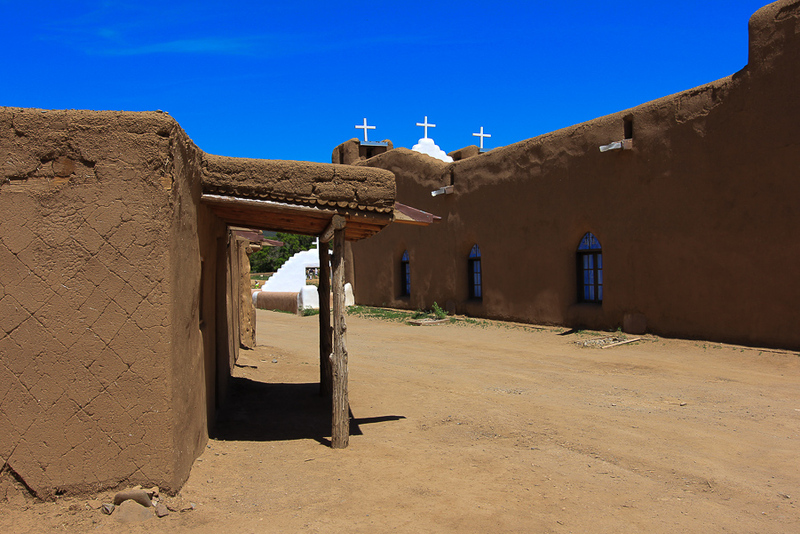 When we left Taos in the morning of our second day we were able to see the San Francisco de Asis Church, which is just south of town. 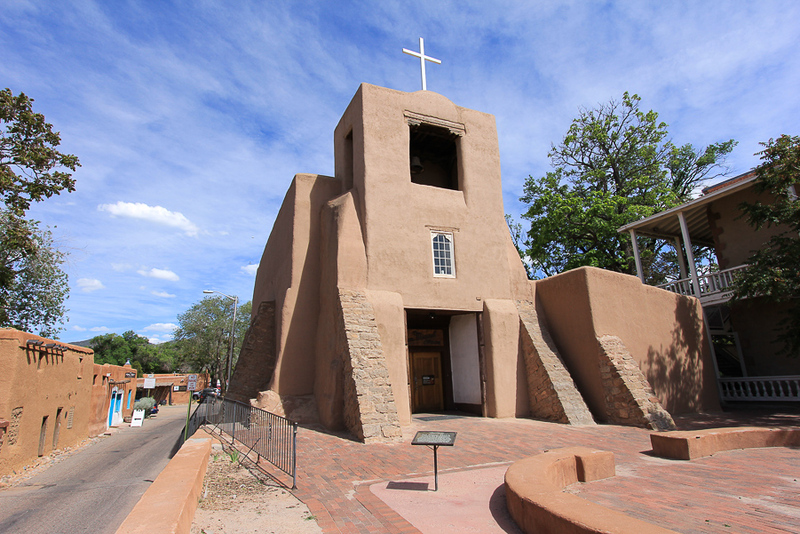 This church was made famous by Georgia O'Keeffe and Ansel Adams, among many other artists who became fascinated by its looming buttresses. 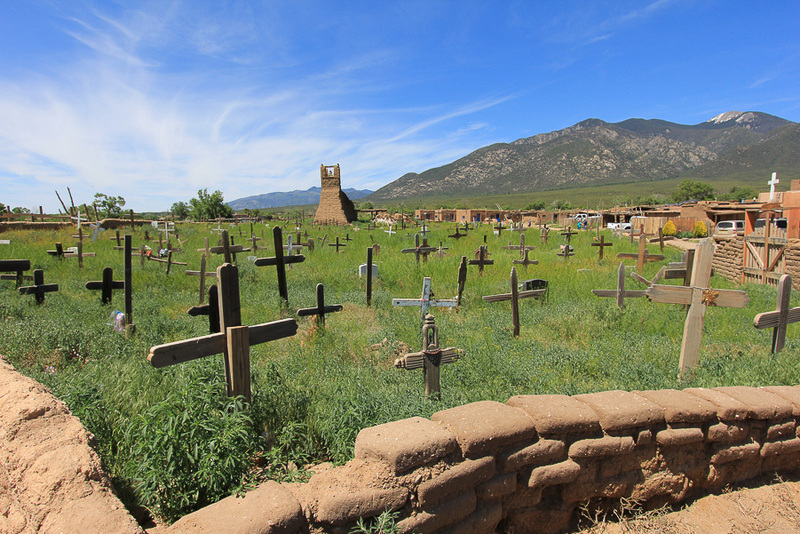 This is one of many cemeteries we passed as we headed south towards Santa Fe. 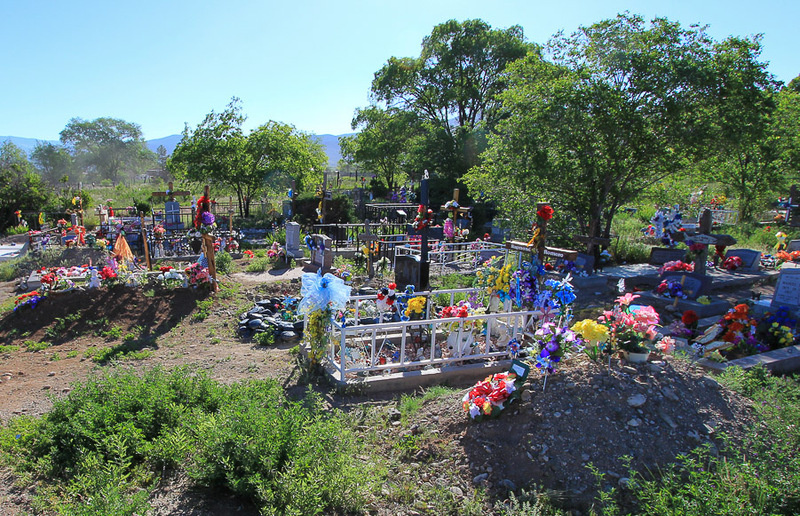 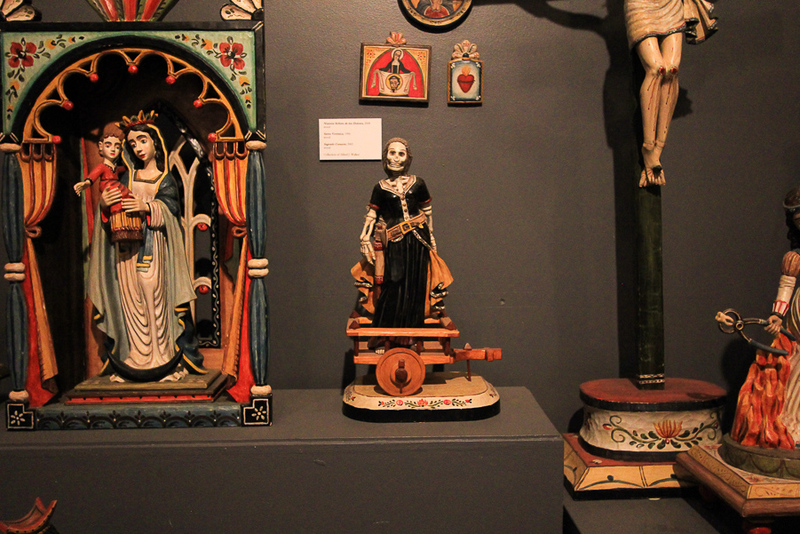 These grave decorations are a traditional Mexican sign of respect for the dead. 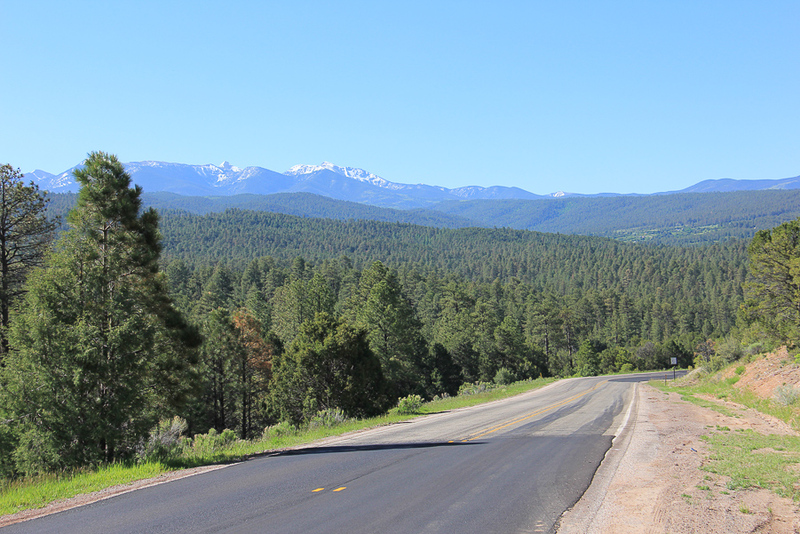 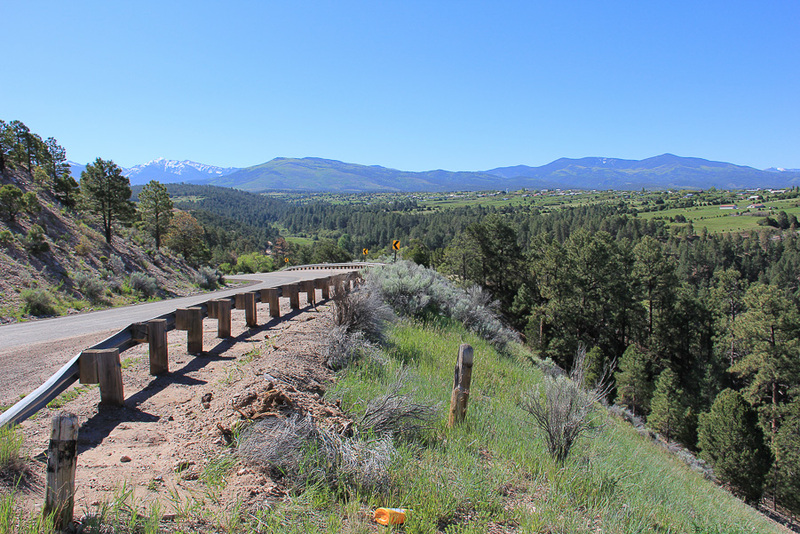 The scenic road connecting Taos and Santa Fe is called the High Road to Taos. 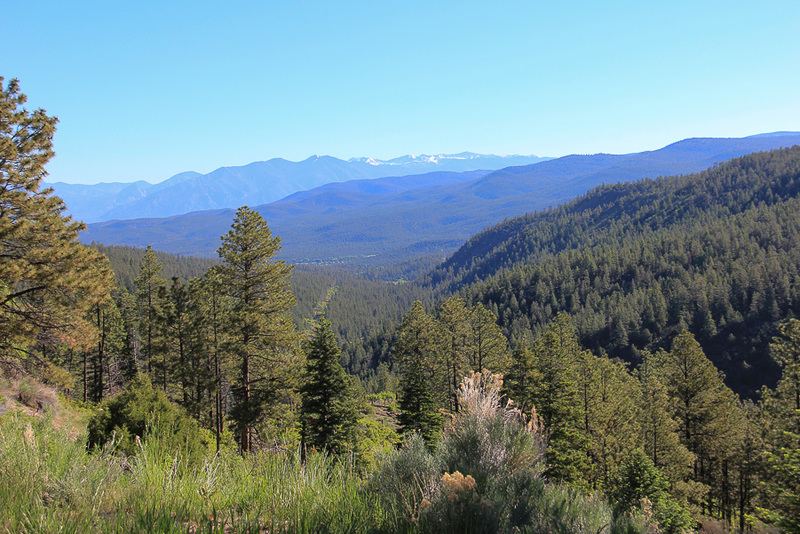 The views are spectacular! 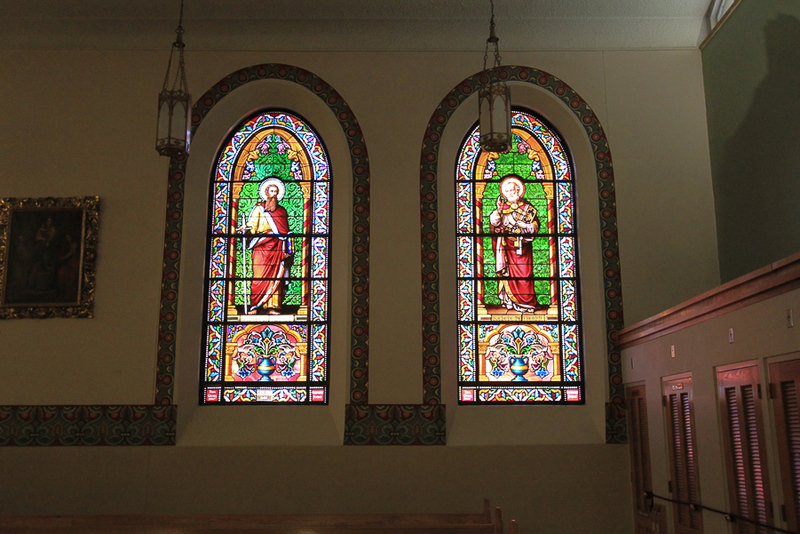 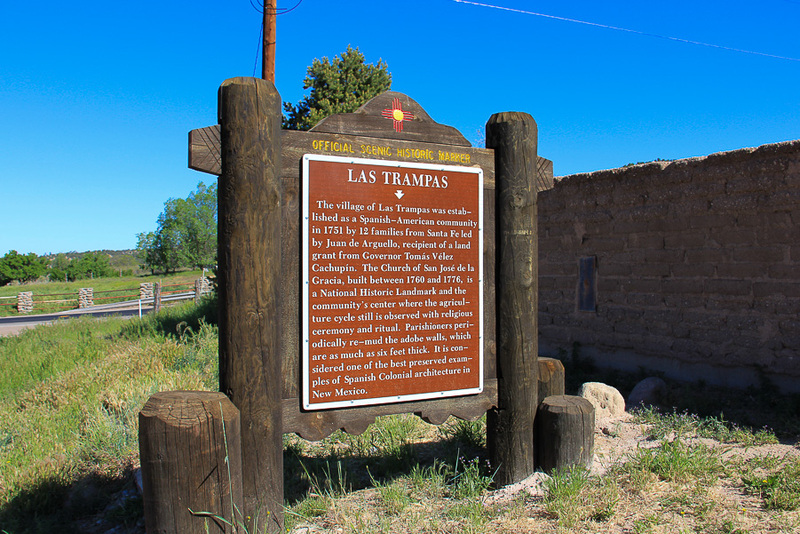 Along the High Road is the town of Las Trampas, which has one of the finest surviving eighteenth-century churches in New Mexico. 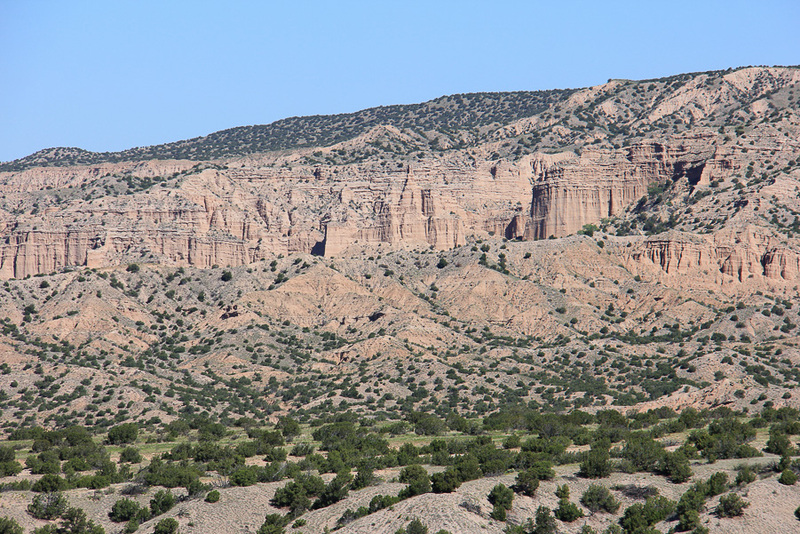 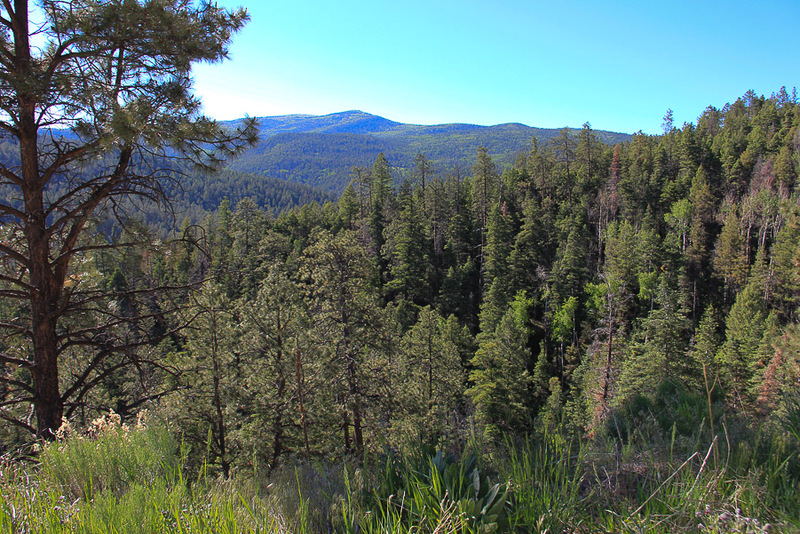 As we go down in elevation, the terrain changes from the highly forested areas of the New Mexico Rockies. 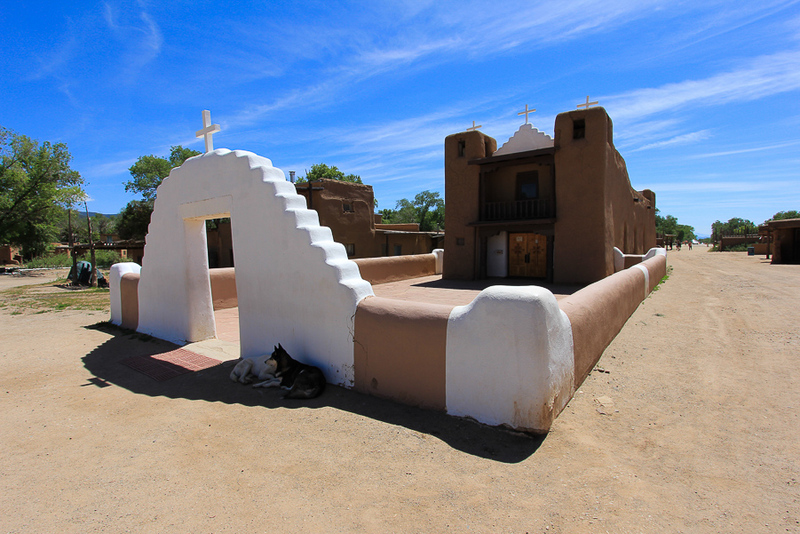 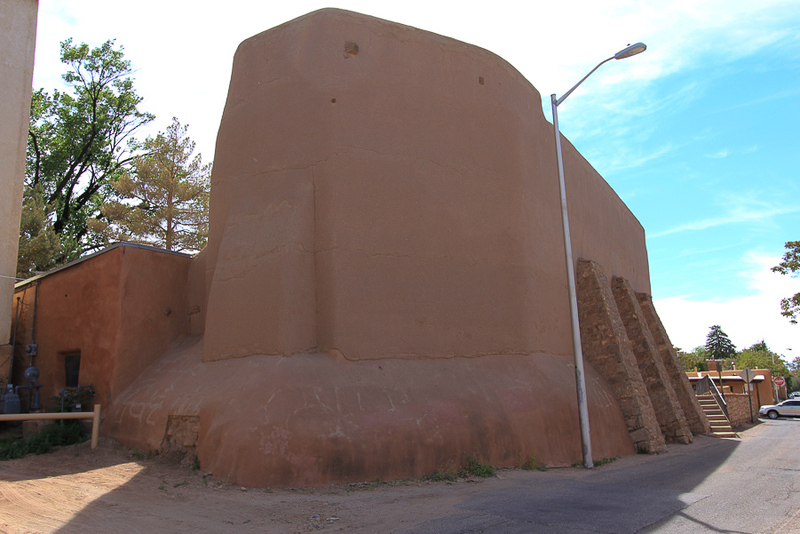 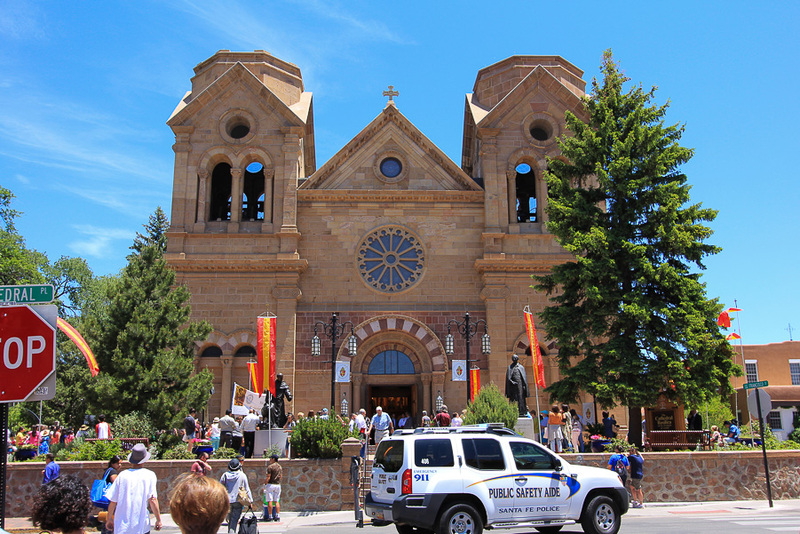 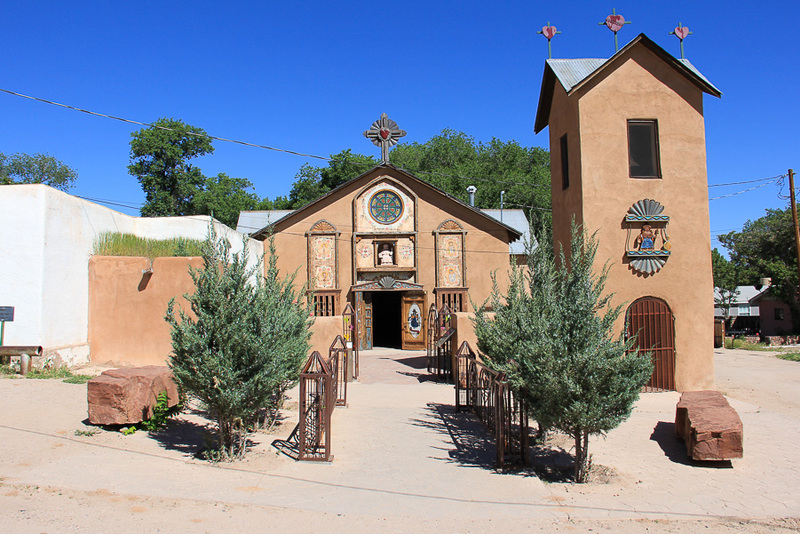 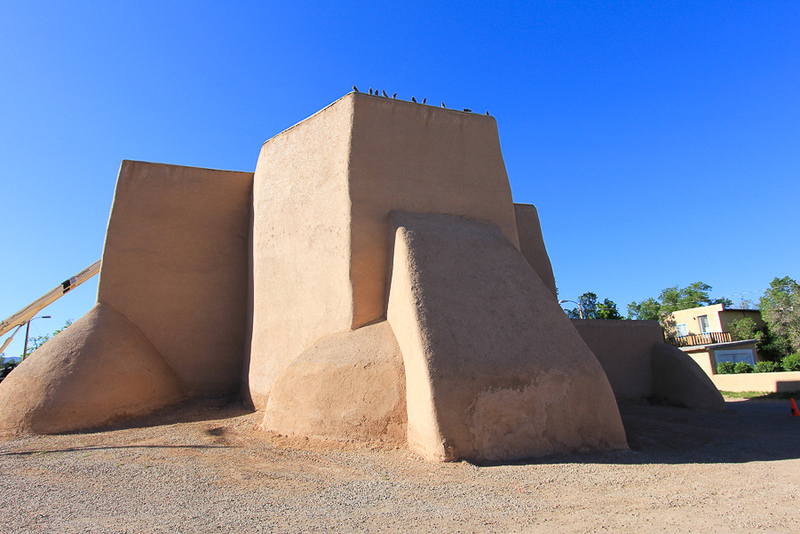 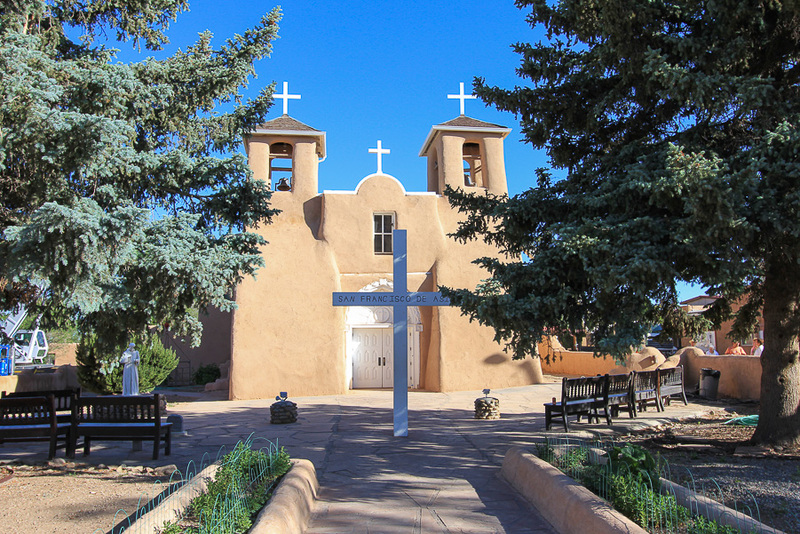 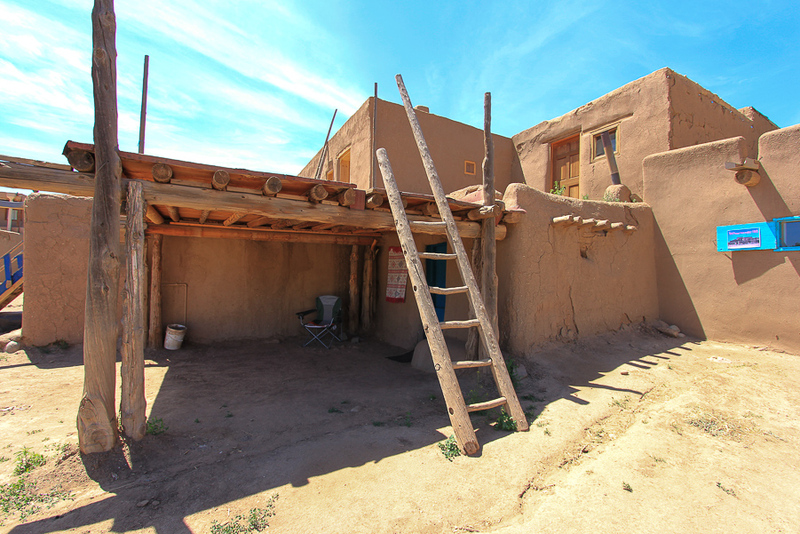 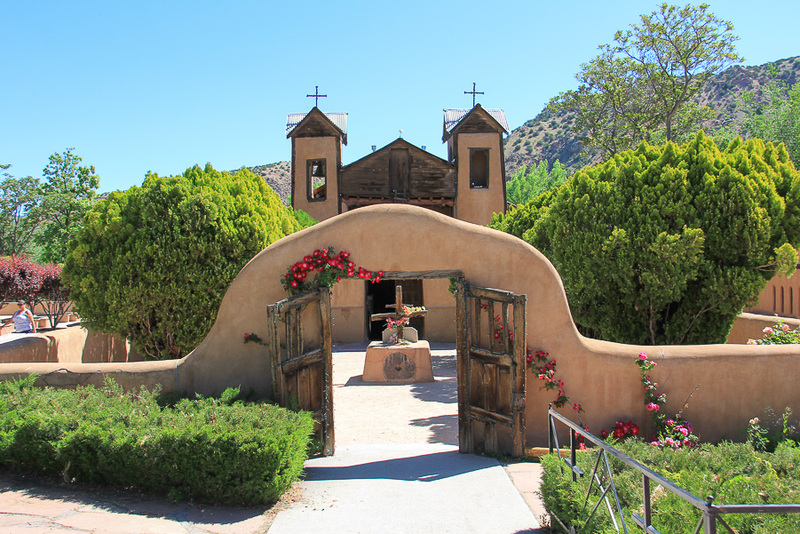 The last town on the High Road before Santa Fe is Chimayo, home to the Santo Ni�o de Atocha church and the Santuario de Chimayo, respectively shown below. 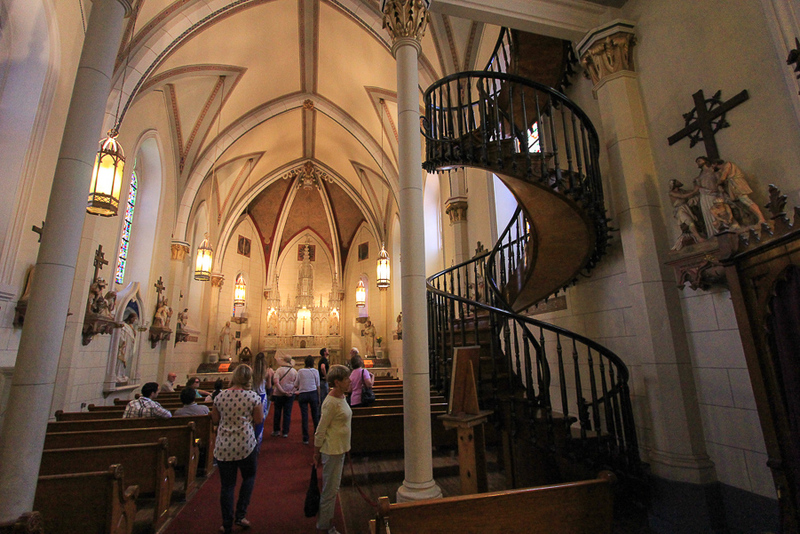 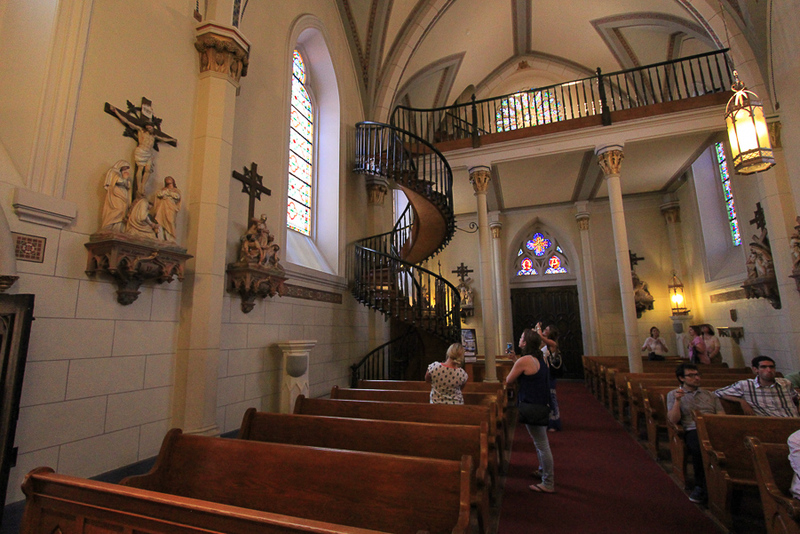 Our first stop in Santa Fe was to see the miraculous staircase of the Loretto Chapel, which is a true engineering mystery, since no one knows how it can be a free standing structure. 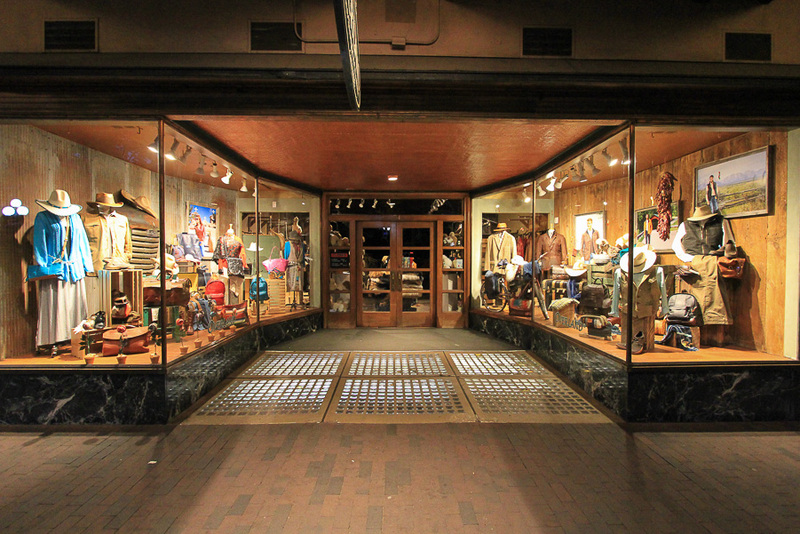 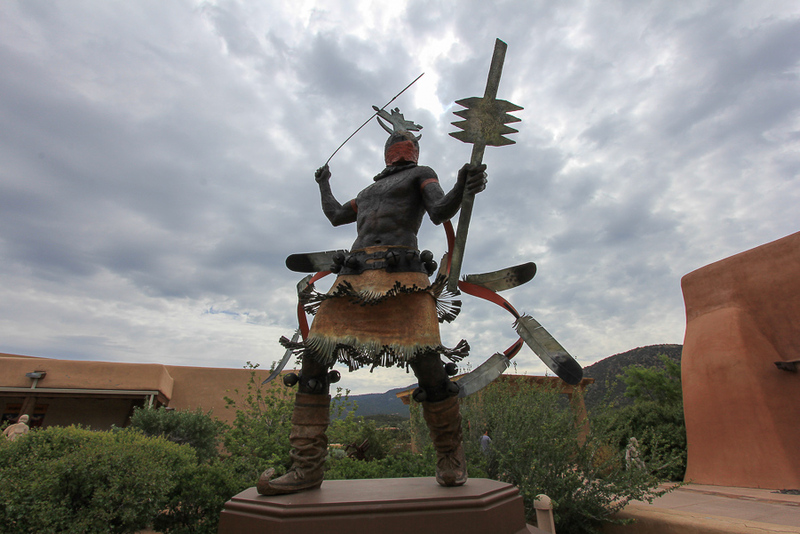 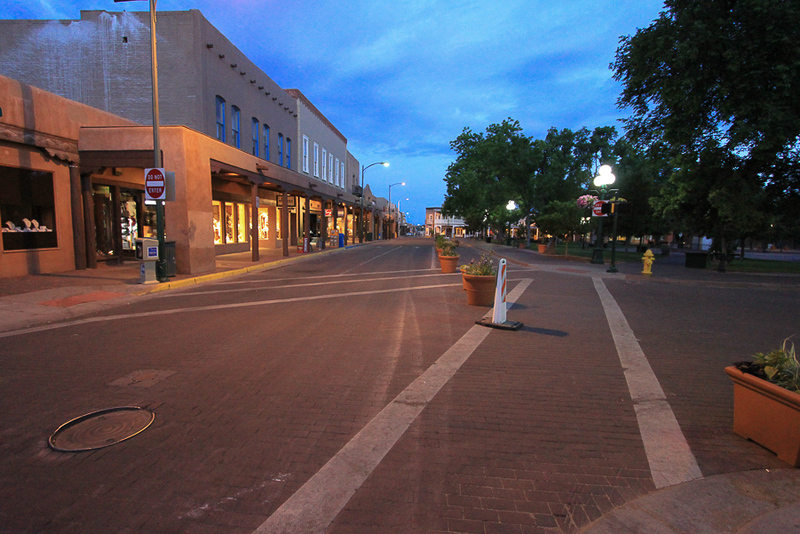 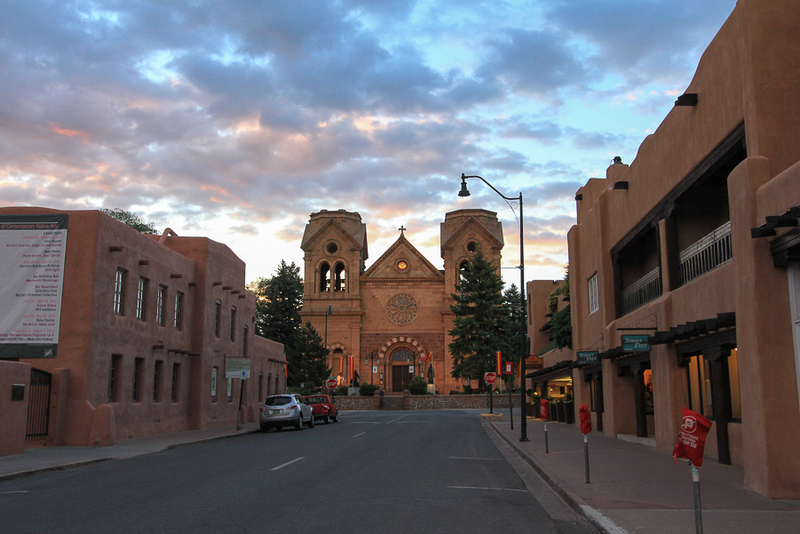 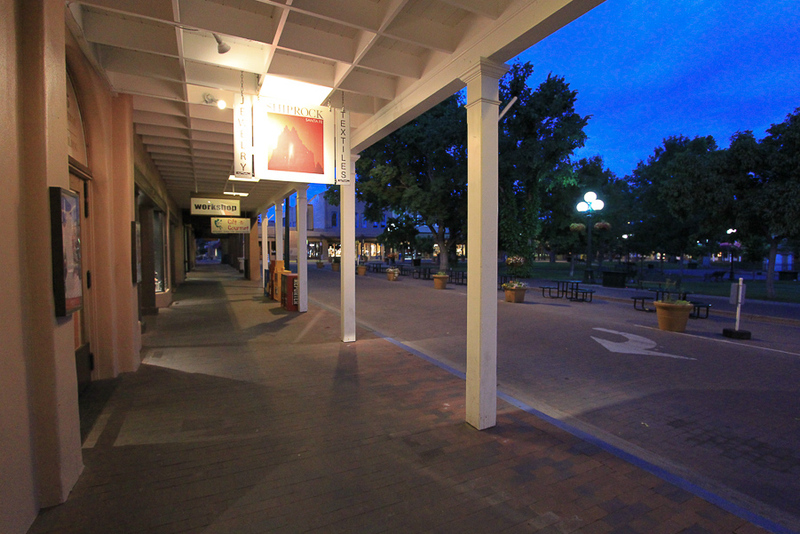 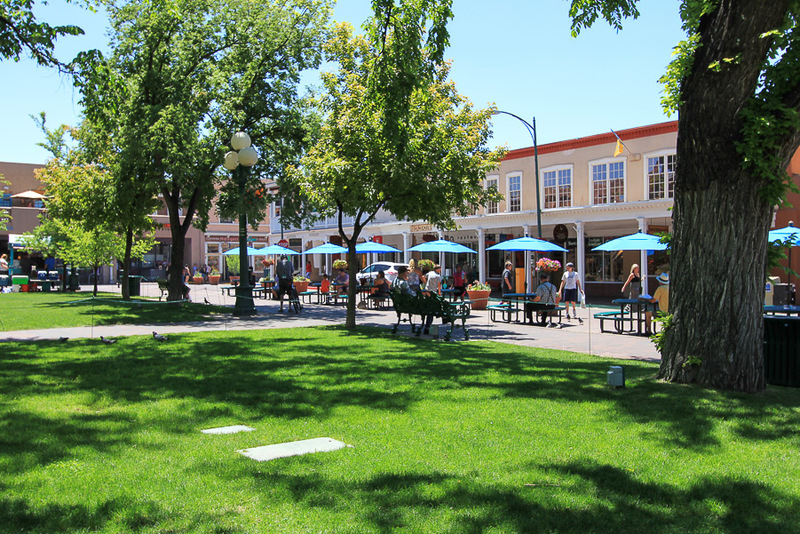 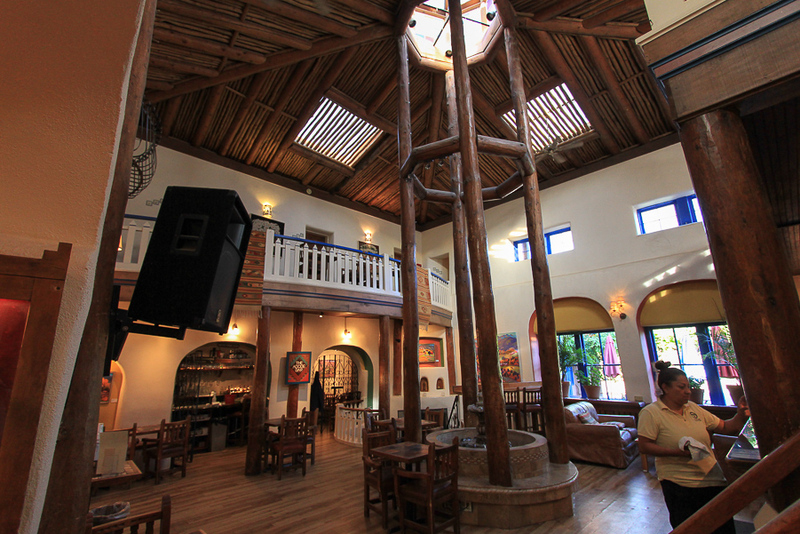 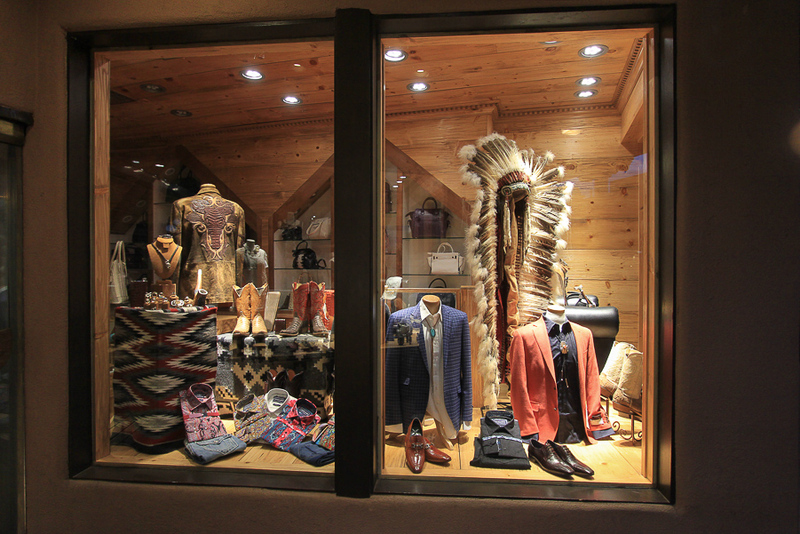 Like Taos, Santa Fe's Plaza is the heart of the town, and it is very special. 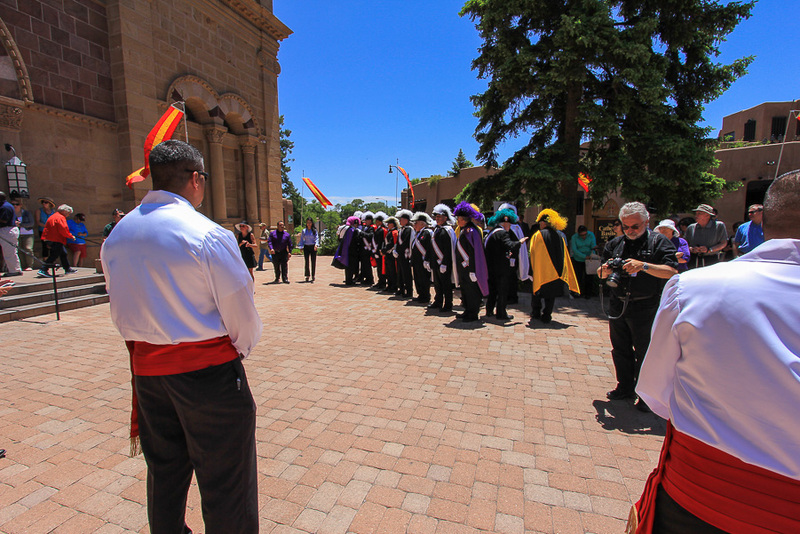 By coincidence, June 4, 2015 was the day that the new archbishop of Santa Fe was installed, and we were there for the festivities, which lasted all day. 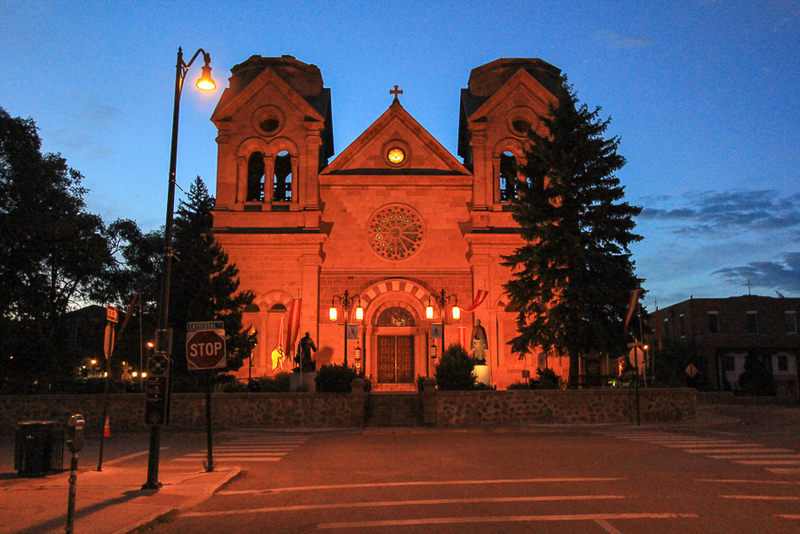 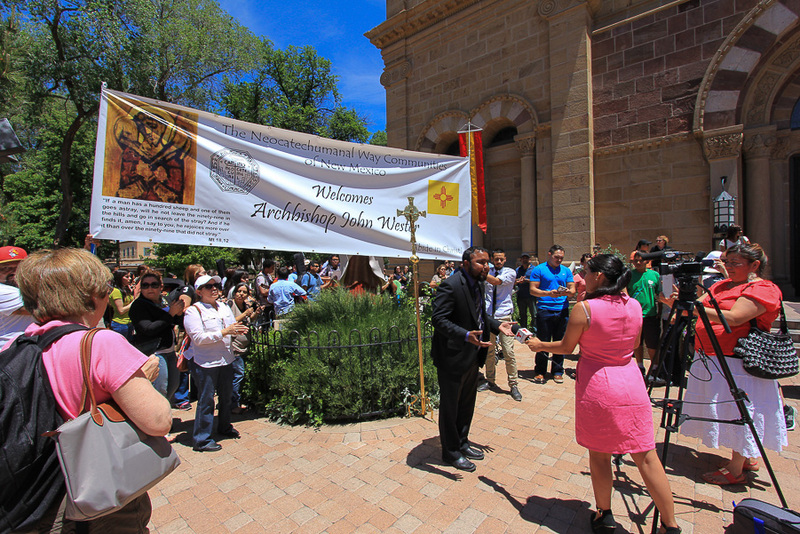 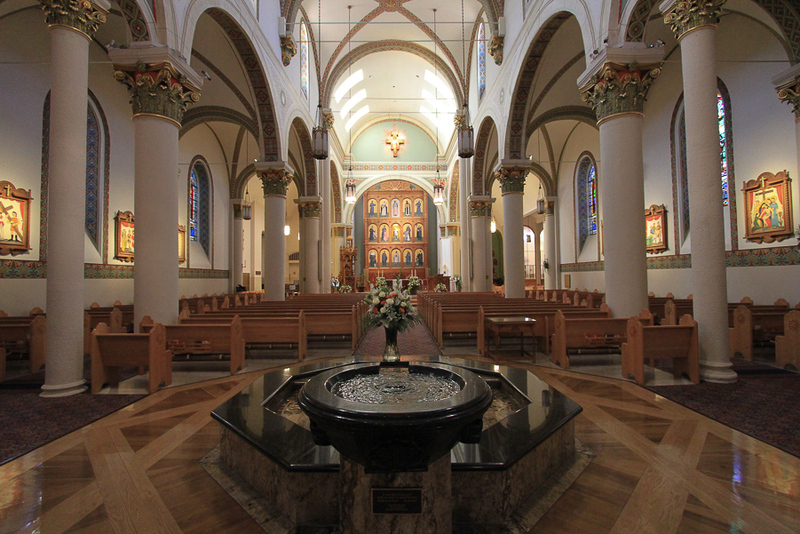 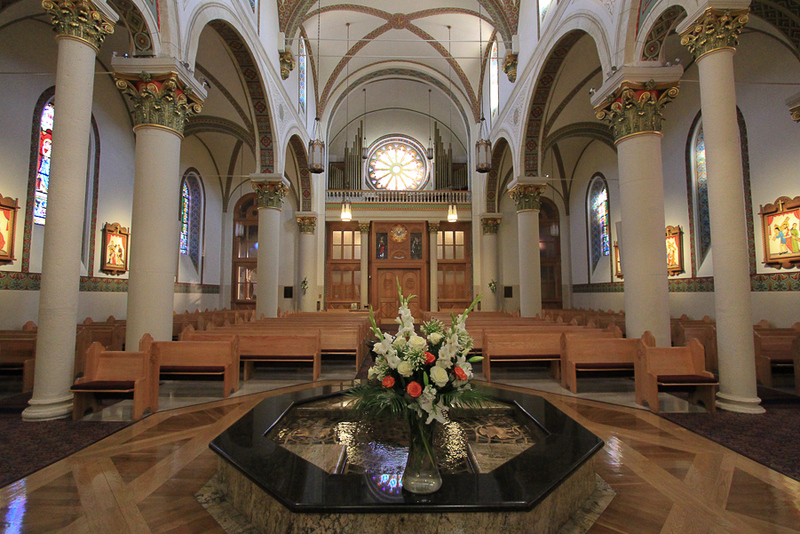 The ceremony was held at the Cathedral Basilica of St. Francis of Assisi that is located off the Plaza. 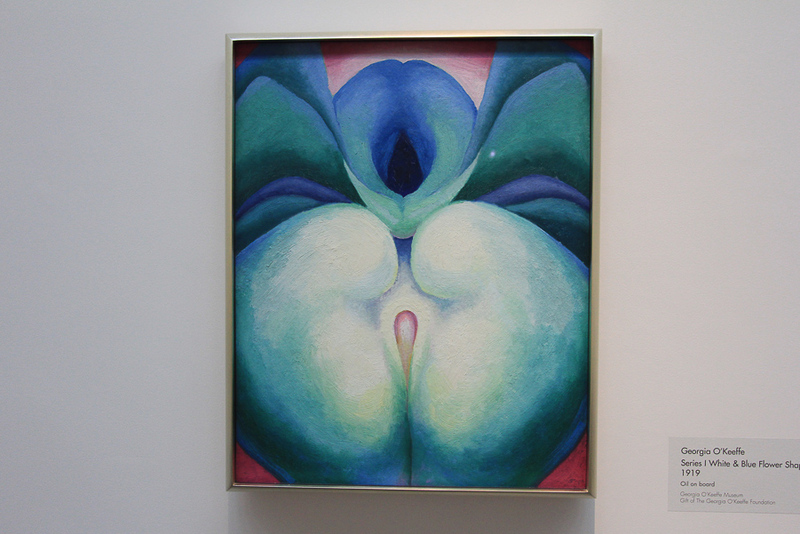 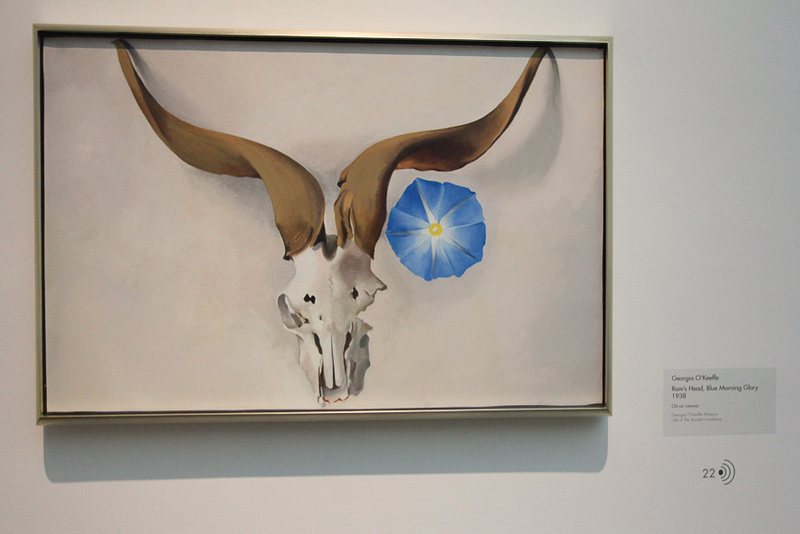 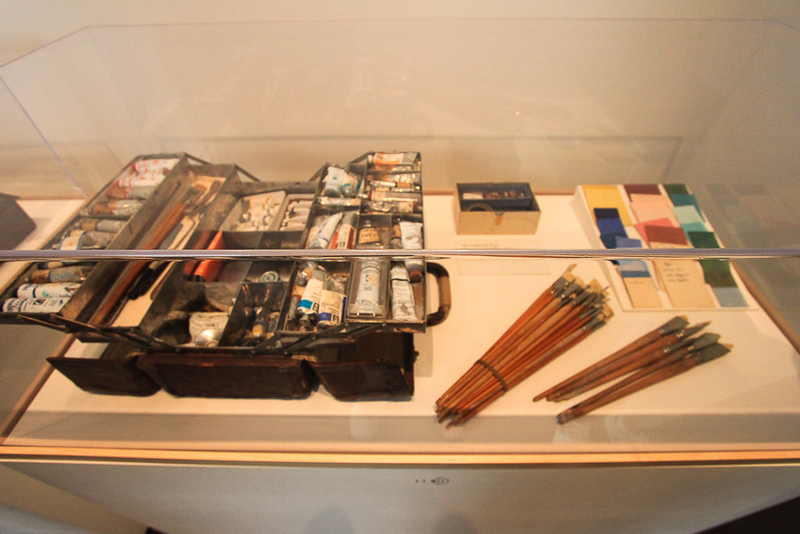 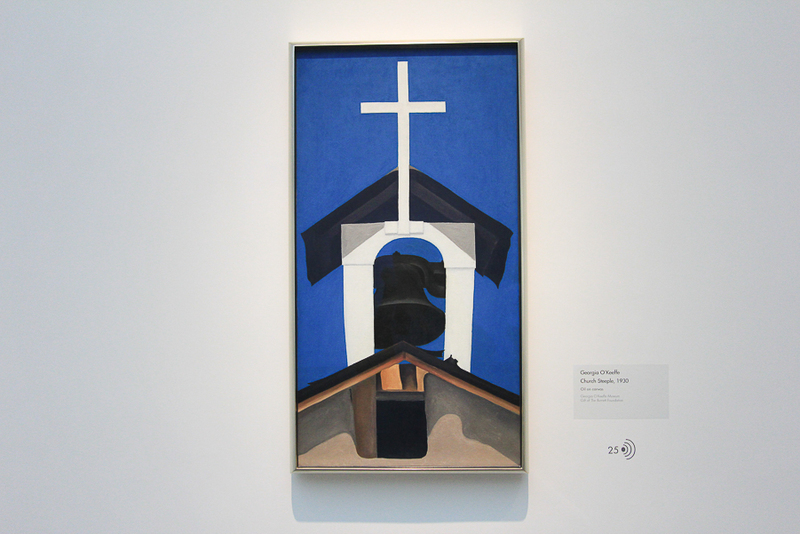 We had the opportunity to visit the Georgia O'Keeffe Museum, which was a real treat. 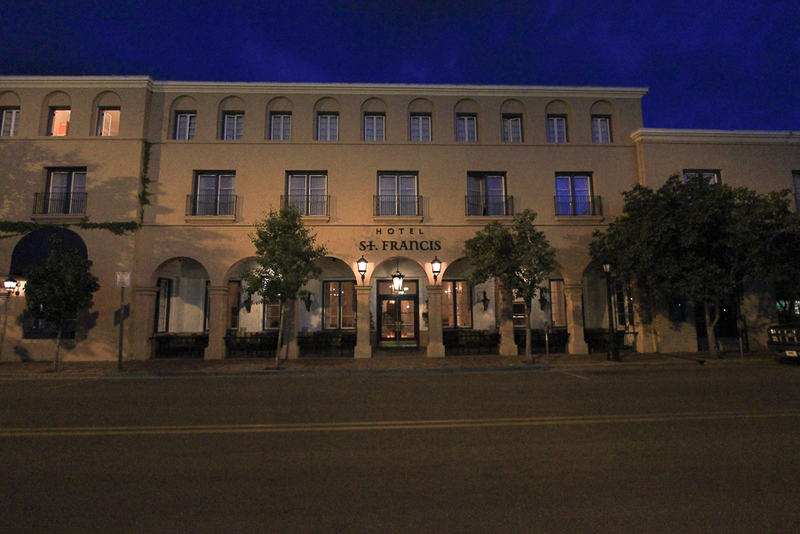 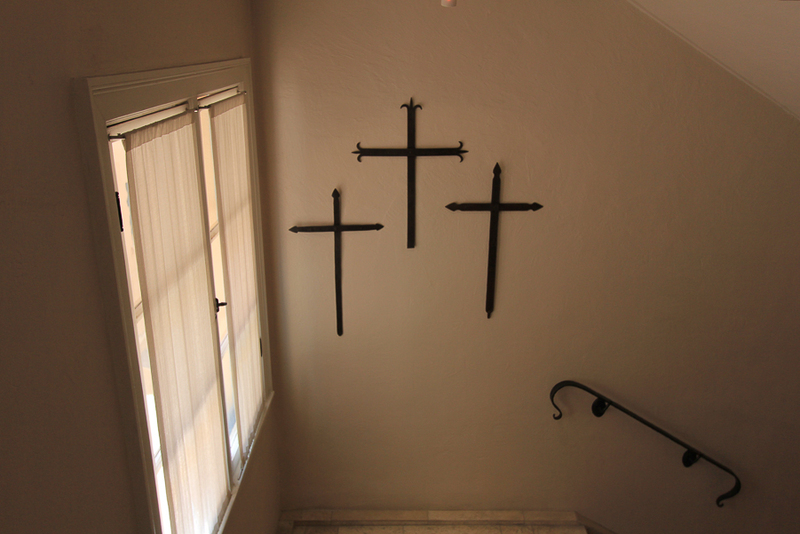 Our hotel in Santa Fe was the Hotel St. Francis and it was fabulous! 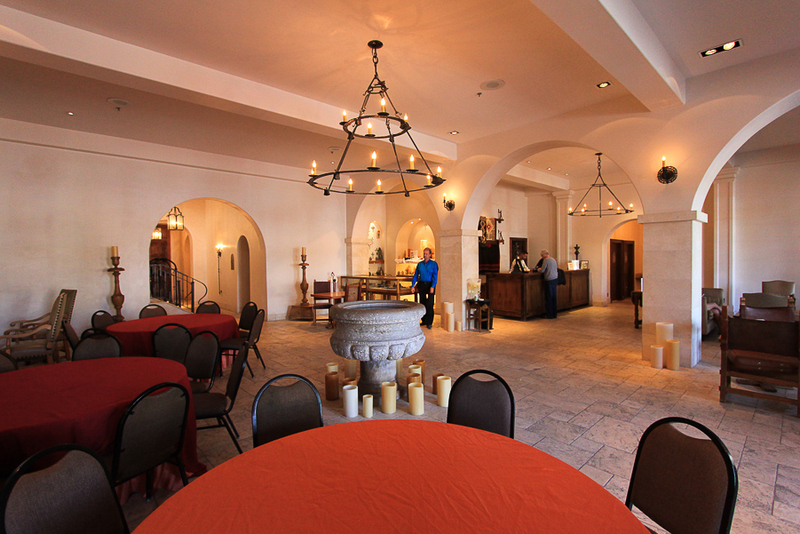 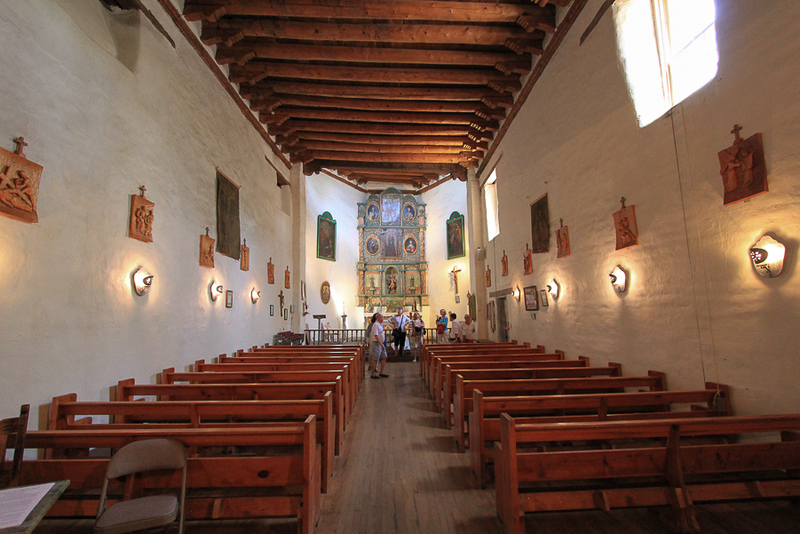 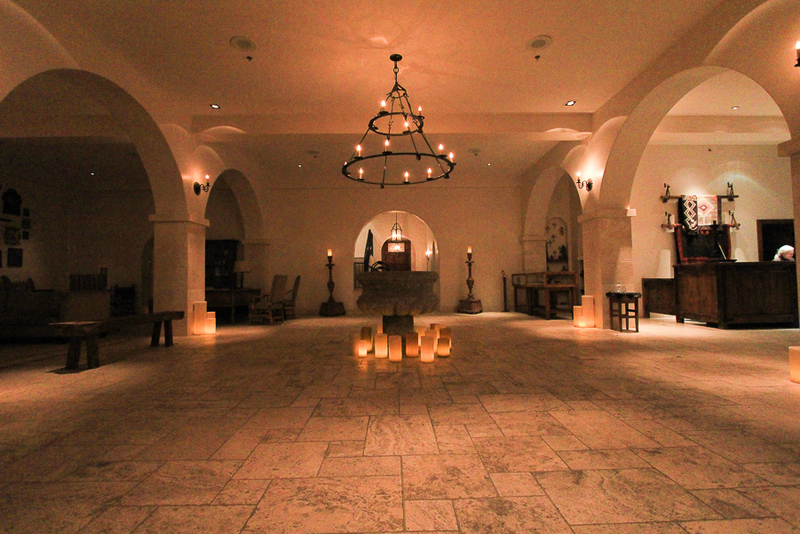 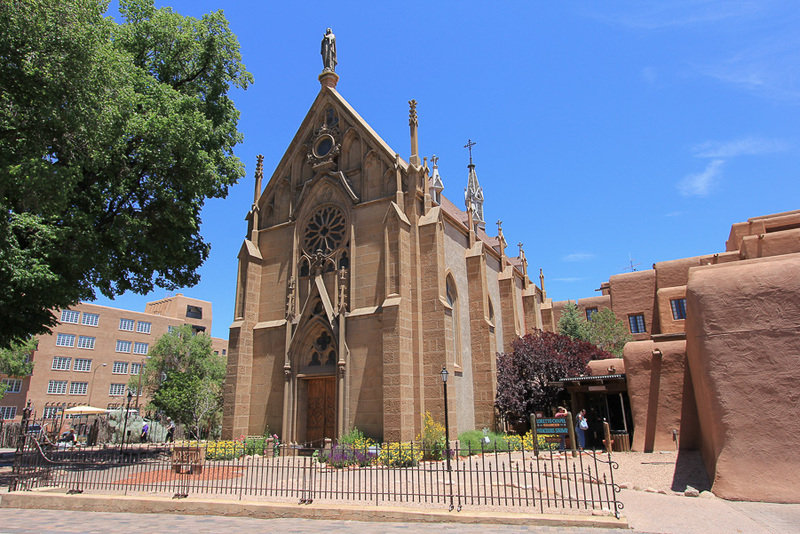 The San Miguel Chapel is known in Santa Fe simply as �The Oldest Church�, and it is referenced in Wikipedia as the oldest church in the continental United States. 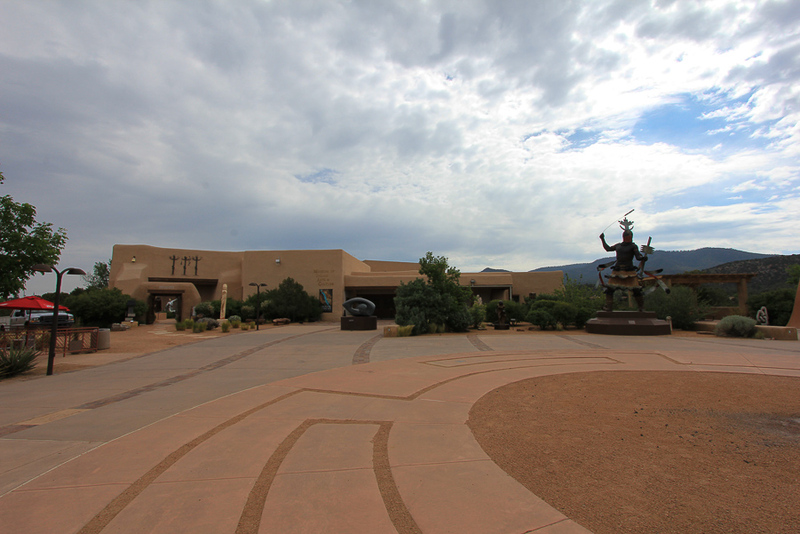 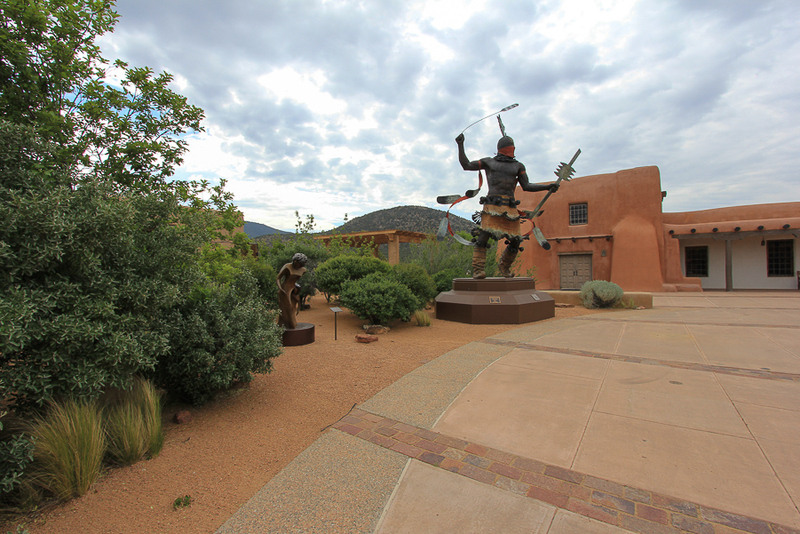 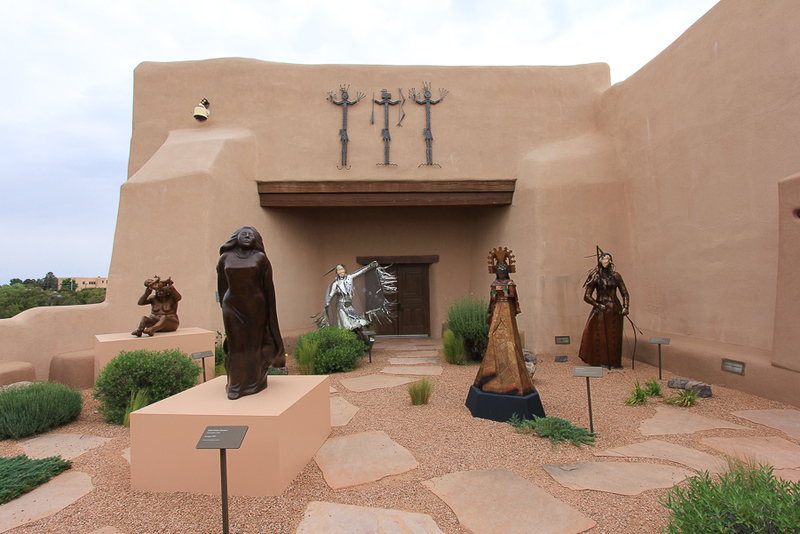 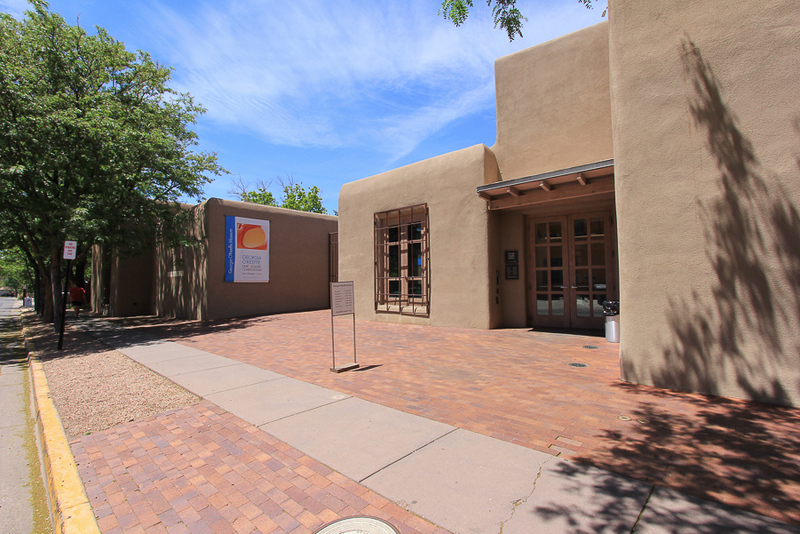 Our last stop before heading back to the Albuquerque Airport was the Museum of Indian Arts and Culture, located on Museum Hill just south of downtown. 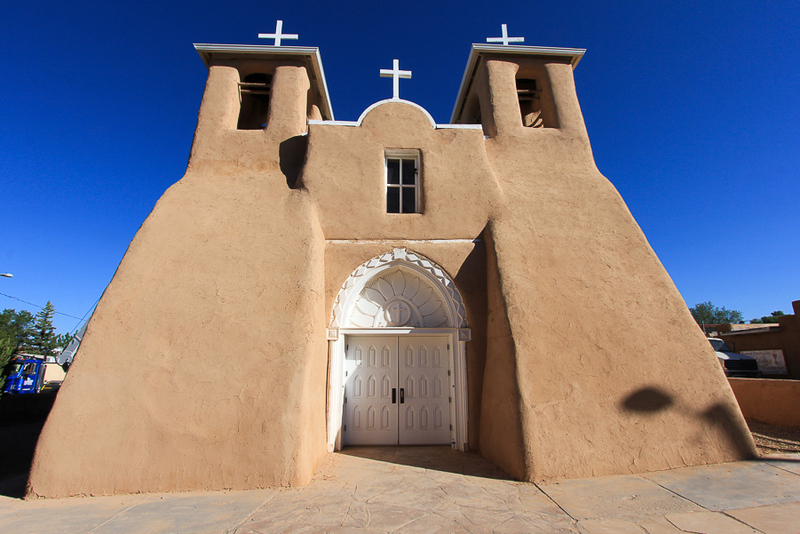 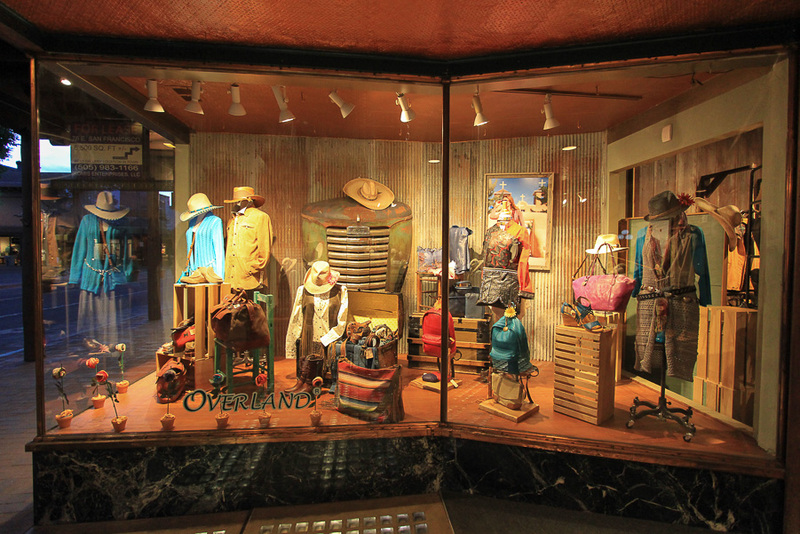 New Mexico truly is the Land of Enchantment! 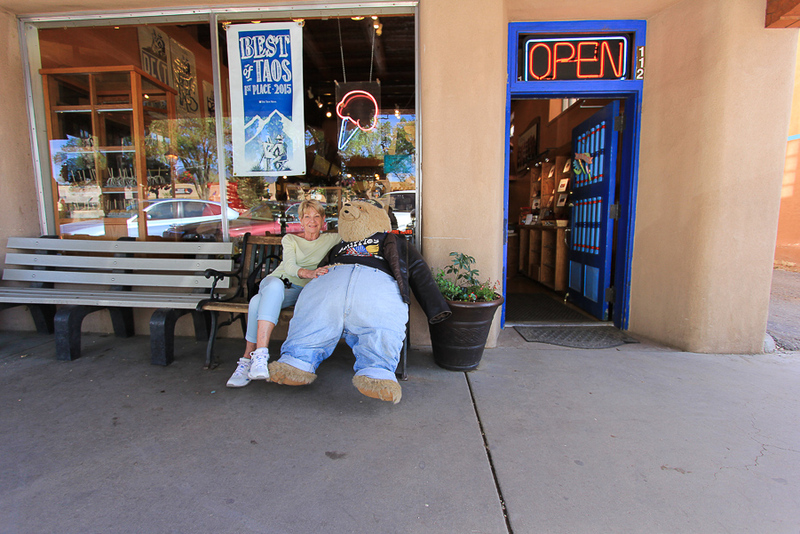 It was a great trip.